The hallowed ground of Devens, Massachusetts. They say that when a ball dreams, it dreams of being a frisbee. Well when a tournament dreams, it dreams of being Northeast Club Regionals. It’s like taking in a day game at Wrigley. Like tucking into a massive pile of mashed potatoes on Thanksgiving. Like reading Elmore Leonard at the beach with an open linen shirt and a mason jar full of gin. When you get to the fields at Devens for Northeast Regionals, gaze around at all the teams warming up amidst the newly turning leaves and crisp air of early fall you think, damn. This is how the game was meant to be played. There are higher profile events to be sure. Talent pools that run deeper. But that’s missing the point. In late September, Devens, Massachusetts, is Heaven’s doorstep. I’m an upstate New York partisan when it comes to fall, but even I’ll concede that there is something particularly perfect about Massachusetts in late September. Booth isn’t alone in savoring the dawn of the weekend, as Northeast Regionals is a sumptuous experience from the first moment you arrive. You get to the fields in full sweats, bundled up against the keen chill of the early morning. 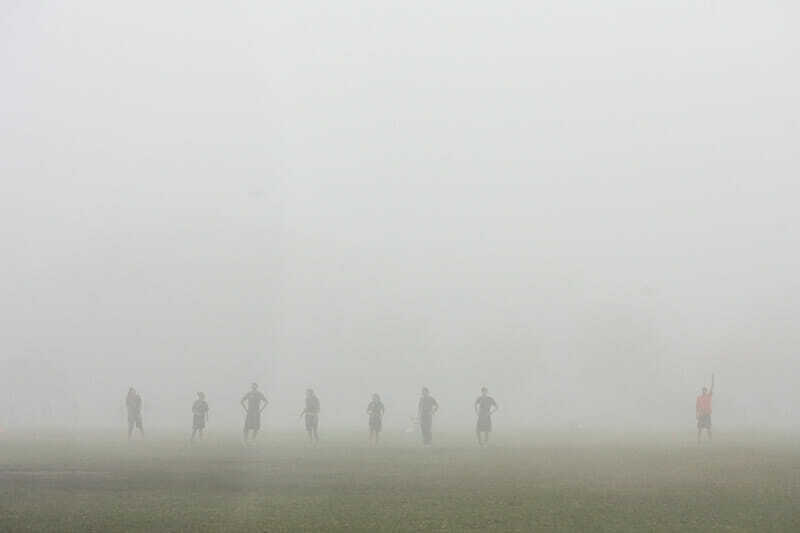 With fog sweeping in, your warmups are set against a backdrop that evokes Narnia more than New England. It is, in the literal sense of the word, epic. You warm up your body for real, getting comfortable with the temperature and slowly shedding layers until you find the perfect balance. It’s a tournament that warms up at the same rate you do, so that by the peak of the day, you’re ready for the heat. The bite of autumn never leaves with apple cider drinks and donuts, along with the occasional craft brew, dotting the sidelines. It takes you back to your halcyon days of college fall tournaments. When winning was done for the sake of that moment, something to share with your teammates in the now, and not just one more step down some longer path. Who knew what the college series would hold, but for at least that day at Free Fallin’ 14: Return of the Mack, you were the champion. The sense of nostalgia is real at Devens. Memories of the past color everything in the present. The tournament has an unrivaled history and has been at the same site for so long that it’s unclear just how long the Northeast has gathered there. At least since 2003, say some, while others point to further back with an occasional off year in the mix. No matter what the exact figure is, Northeast Regionals has a lineage that animates the event as more than an on-ramp to Nationals. The continuity exposes the long arc of history at work on the fields. Eras push and pull against each other, carving out epochs in real time. You’ve got games like the legendary 2005 clash between the receding Lady Godiva and the ascendant Brute Squad that bled into a second day because the team’s efforts held out longer than the sun did. It was the first time Brute ever beat Godiva, presaging the changing era to come in Boston. There was 2013 when Garuda came within a Jeff Babbitt fingertip of knocking out PoNY and going to Nationals. This time, the changing tide was rebuffed, PoNY’s Nationals run continued, and Garuda fell into obscurity. Time is tricky, though, and the embers of Garuda bloomed into Dig, who will be challenging PoNY for the regional crown this weekend. Everyone I’ve asked about Regionals has a different story or moment that sticks with them, from the seismic games to ephemera that took root in the consciousness. Northeast Regionals doesn’t have the sheer talent of Nationals or even major club tournaments. But its powerful legacy makes it hum in a way that no other tournament does. The top end talent is there, with a National title contender in each division nearly always present, and the drama is as well. Certainly this season, the frisbee world will be watching to see which of the three powers in the Men’s Division emerges from the two bid chokepoint. But to focus only on the implications for Nationals misses the point. With teams from New York, Boston, Toronto, and Montreal, Northeast Regionals brings teams from distinctly different cultures with distinctly different styles together in a melting pot that creates something greater than the sum of its parts. From in between the hubs, there are teams that can’t compete on sheer talent but pull off an upset or two on pure concentrated chemistry. Some Rochester team with 17 guys that has played together for five years or a mixed team from Maine that runs an offense exclusively through S-cuts. Every year, teams go to summit Mt. Devens and while, yes, usually it’s someone from Boston that ends up at the top, it is waste to not put stock in each and every climb. I won’t be back this year, as I’ve moved away from the Northeast (at least temporarily). Mid-Atlantic Regionals will be great, because Regionals anywhere is going to be pretty great. And while I’ll leave my blood, sweat, and tears on the field in Delaware this week, you can bury my heart in Devens. 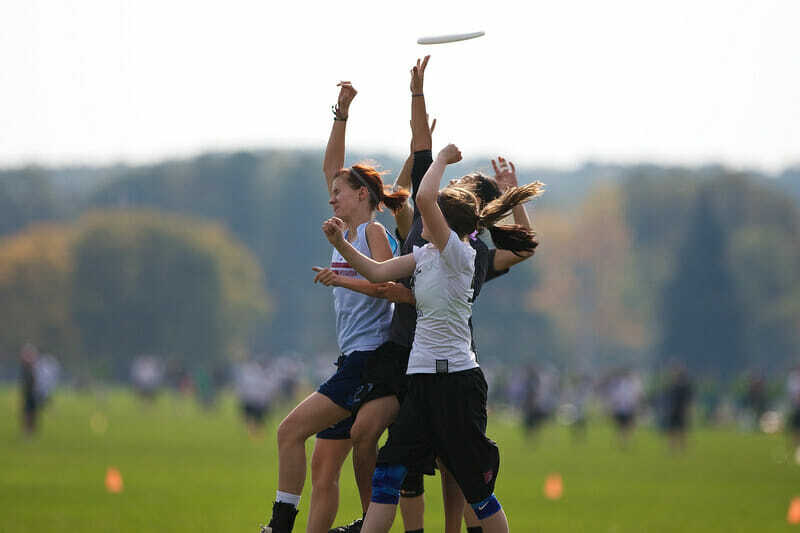 Comments on "Northeast Regionals Is The Best Tournament Of The Year"